This video is based on a non-fiction book written by the well known astronomer, from these here United States, named Carl Sagan. 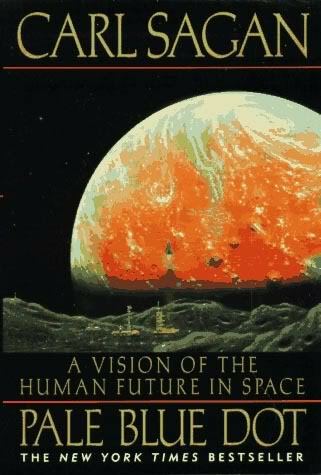 In this book, and subsequently in this documentary video, he details his vision for a human future outside of Earth’s orbit. “Pale Blue Dot” is nothing more than a photograph of Earth from far off which was taken by Voyager 1 and thus serves as this movie, and books’, namesake. A boring lecture (for the first 10 minutes) about the history of human migration is forced upon us in the beginning. Not to mention worthless details about the life of Carl Sagan. We like Carl Sagan, but that whole microbiography was a waste of valuable time. Planet is the Greek word for wanderers. He referred to the depths of space as the New World Ocean. Interesting. We have landed, passed by, or explored at least 70 worlds. Carl Sagan details our solar system with poetic justice.